Fluid Sealing System Training Centre as company sister of PT. Idesejati Intiprakarsa , which implement all kinds of training about fluid sealing system technology. REGISTER THE ONLY SEALS TRAINING IN INDONESIA TODAY! 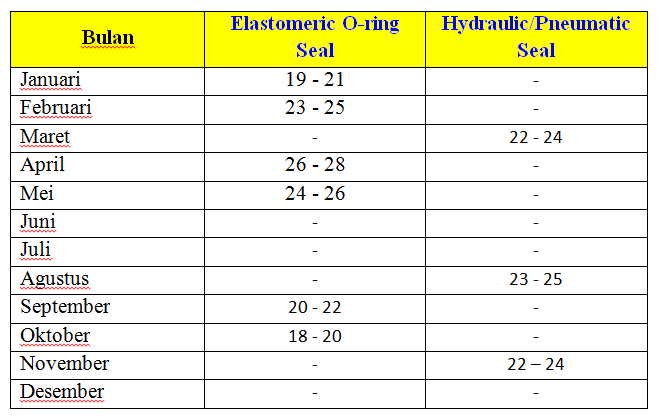 Failure, improper selection or improper use of seals can cause death, personal injury or property damage!!! PT. Pupuk Kalimantan Timur Tbk. PT. Surya Toto Indonesia Tbk.